Today, software has to be developed more quickly than ever -- at higher quality than ever. Testing is more important than ever -- but it must be performed at breakneck speed. 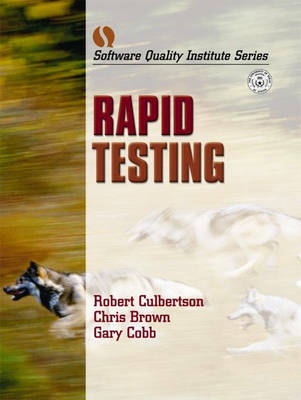 Rapid Testing examines every aspect of software testing, identifying methods, tools, tips, and techniques that accelerate testing while at the same time improving software quality. Its proven solutions are supported with practical examples, templates, and checklists that can be used to jumpstart any testing process. Rapid Testing presents a systematic approach to aggressively rooting out bugs early in the development lifecycle, and streamlining every stage of the testing process: planning, design, execution, verification, validation, and reporting. The book's extensive examples, best practices, and templates make it an ideal resource and quick reference for everyone with testing and software quality responsibilities.